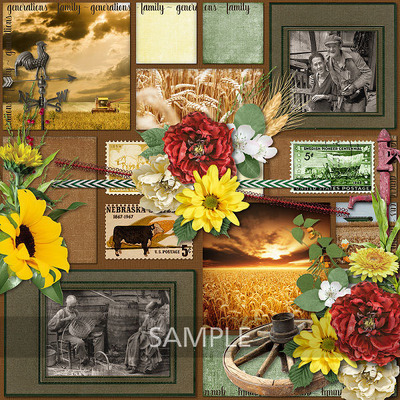 The Prairie Home Add On pieces were designed to coordinate with the complete Prairie Home digital scrapbook kit and collection by ADB Designs but each pack will also work beautifully on its own or combined with any vintage papers. 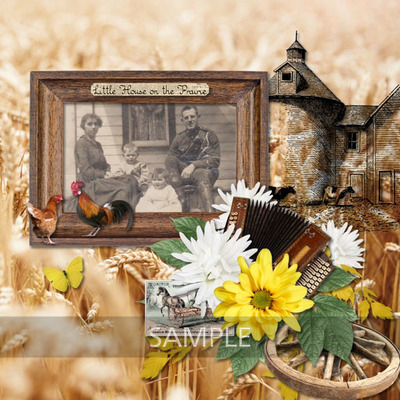 Each pack is created at print quality, so they can be used for heritage scrapbook layouts, personalized greeting cards, or any number of genealogy projects. 5 background papers featuring photos of prairie agriculture.